Landing page is a great marketing tool to generate new leads, add new subscribers to your mailing list, lead your customers to website or digital destinations with more information, and more. Intuitive drag & drop Interface to allow quick design and edit of each campaign. Create attractive landing pages using a variety of free templates, or create your own design using our drag & drop editor. 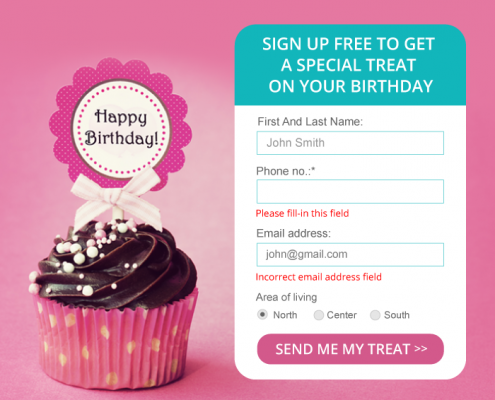 A great way to gather information on your customers is add a designed web form and allow users to sign up for events, enter their contact details, etc. You can setup the form and control its fields, visibility, and much more.